It Works For Me. Wendy Clarke Shares Her Personal Writitng Rules. 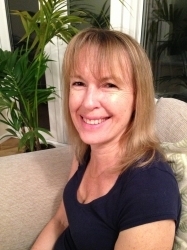 This week I am delighted to welcome Wendy Clarke to talk about her writing and share the writing tips that have brought her such success in the short story world of women's magazines in recent years. My stories are rarely fully formed when I start to write them. I generally have just the seed of an idea and occasionally the ending. I do not allow myself to overthink the story, but just start writing, and as I do, the story gradually unfurls like the petals of a flower. It sounds obvious but it's surprising how many people will write something that they don't care about, just to fit in a particular market. If I don't like my own story, I can pretty much guarantee that nobody else will. If my story isn't something I'm proud of, I won't send it out - simple as that. This can be taken in so many different ways: dialogue, adverbs, adjectives and descriptions in general. I love using description in my stories, but it has to be carefully done and mustn't distract from the all-important plot-line. I will dripfeed description into my stories a couple of sentences at a time. I want the reader to get the feel of the person/place I'm talking about, but not be swamped. This is similar to the rule above, and is especially relevant to historical stories. Okay, so I've done my research and know everything there is to know about the Industrial Revolution or nursing in the 19th century. The magazine readers don't need to know, though... honestly they don't! I add any relevant information into my story sparingly, rather than give the reader a whole paragraph about the 1833 Factory Act or Louis Pasteur's germ theory. Wendy Clarke is a full time writer of women's fiction. Since starting writing three years ago, she had sold over a hundred short stories and her work regularly appears in national women's magazines such as The People's Friend, Take a Break Fiction Feast and Woman's Weekly. She has also written serials and a number of non-fiction articles. Room in Your Heart and The Last Rose are Wendy's two collections of short stories. She has just finished her first novel. Lovely to hear from you, Jen. I agree with you about the "less is more" and "don't info dump." As writers, we have to learn to trim things down. I'm glad you are enjoying this series. I enjoy your short stories, Wendy, and thanks for sharing your writing tips with Susanna's readers. I chuckled when I read your advice about 'less is more' and 'don't info dump.' So true and those are areas of writing I've worked hard to address. Another great blog in this series. Thank you both! Thanks for your comments, Sue. I'm pleased you found Wendy's tips useful. I'm glad you found it helpful, Sue. Thank you for commenting. Thank you Wendy for sharing your writing rules with us. So interesting to read and extremely helpful. Thank you for inviting me onto your blog to let your readers in on a few of my secrets, Susanna. I hope they are useful. It was certainly a luxury to be able to use more description in my novel, Jan, but even then I had to be careful. It's so tempting to put everything in isn't it, Frances. You spend such a lot of time doing the research that it seems a waste not to use it - still, there's always a next time. Hi, Frances and Jan. Thank you both for your comments. Wendy's personal rules are ones that we all recognise and know the value of, I'm sure. The one about info dumping made me remember some books in which the authors had done precisely that - they were determined to share their knowledge, and it led to some clunky writing and unnatural dialogue. It was interesting to read your tips, Wendy, and for me 'Less is more' is such a good piece of advice. Because I love words, it's too tempting to overdo the descriptions. Your point to drip feed and drop in carefully is something I need to follow. Thank you to you and Susanna. Hi Wendy, I totally agree with all your writing tips, especially the one about knowing the time and place you're writing about, but not thrusting it down your readers' throats. It's so tempting to tell them interesting facts, isn't it?